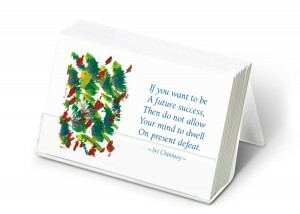 Order now from Blue Beyond Books Buy on AmazonAn excellent gift, this collection of 55 inspirational cards features aphorisms and meditative paintings by Sri Chinmoy, a spiritual teacher who through poetry, music and art expresses the innate goodness of the human heart.For those seeking hope, peace of mind and life-wisdom these cards offer inspiration, and are a guide to a happy, harmonious and spiritually-grounded daily life. Agent for the UK & Ireland: Blue Beyond Books Ltd.
A unique format of 55 fully coloured cards nestled in a foil-wrapped cardboard box, with a convenient Perspex display available for easy counter-top sales. A great gift that brightens any occasion with its inspiration-light. It has been a top-selling item across Europe and Russia. Four additional series of Heart-Wisdom-Drops have been published with similar success. In the Czech Republic, with a market of 10 million, more than 55,000 boxes have been sold. 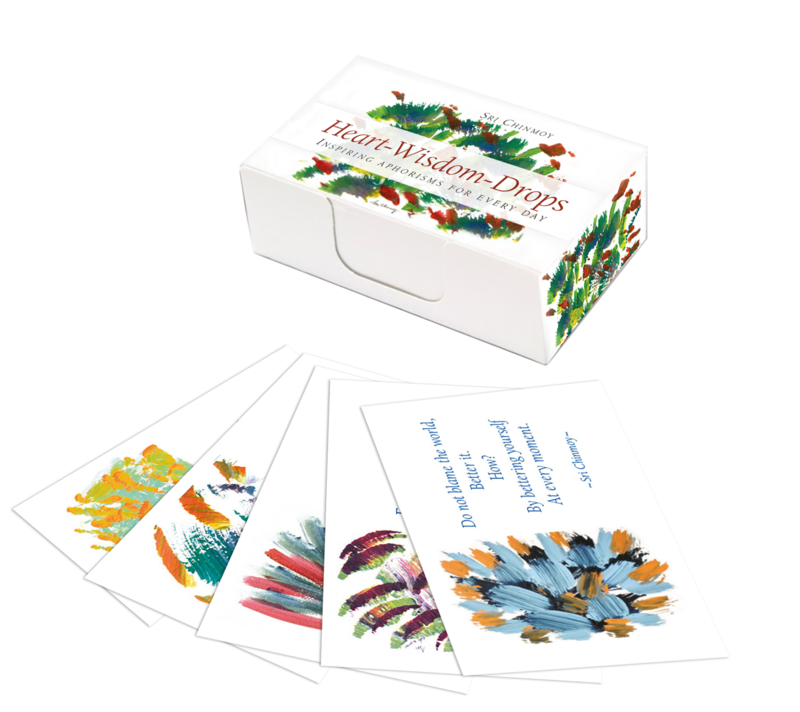 Target Audience: This product has the potential to be popular across all genders and ages, but has been especially popular among women, spiritual seekers and those looking for a nice gift for their loved ones. The aphorism gift-cards sell very well in many countries. The most effective promo tool has been a small plastic holder with loose cards placed on a counter where customers can take one card for free. This leads to growing interest in buying the whole set. Many stores use the opportunity to borrow a free Perspex display holder for a convenient on-the-counter sale. Receive the updates on new books and tips to improve your meditation.